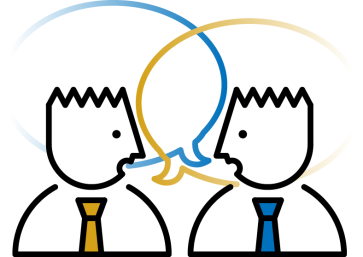 Coaching in Difficult Conversations is a five phase professional development program aimed at increasing managers’ willingness to, and confidence in, holding ‘difficult’ workplace conversations. Reduction in resistance to addressing conflict. Participants use a template to identify and clarify their designated conversation prior to the workshop. This pre-program information is confidential and shared only with the facilitator. Phase 1’s objective is to get participants thinking about the specific types of difficult conversations they are required to undertake and identifies areas of concern or uncertainty. This increases the benefit to be derived in phase 2 as any concerns can then be brought up for discussion during the learning program. Suggested time to complete: 60-90 minutes. Phase 2 is a one day workshop. It covers; overcoming reluctance and other barriers, emotional intelligence, establishing genuine connection, the difficult conversation cycle, applying personal values, strategies, tools and techniques for holding a difficult conversation. Although it is recognised that participants are likely time-poor, the reason underpinning the one day duration is to incorporate emotional intelligence factors. These can only be effectively addressed once the group has had time to develop a level of trust in each other and the facilitator. If a program is of too short duration then it tends to become content heavy and addressing difficult situations requires a degree of emotional robustness and understanding. The longer timeframe allows for this. A one hour confidential one-to-one coaching session with each participant. This provides the opportunity to discuss the proposed conversation, identify any barriers and explore options. A two week break during which participants hold their difficult conversation(s). Participants are free to contact the facilitator during this period to discuss their approach. Phase 5 has two parts – individual and group reflection. Participants use a template to review and reflect upon their experience. This information is confidential and not shared with anyone. Estimated time to complete: 60 minutes. This provides the opportunity for them to examine thoughts and feelings they may hold with respect to their experience in private. It also enables them to attend the group debrief with a greater degree of clarity. The 2 hour debrief provides participants with the opportunity to informally review their personal reflection plus benefit from hearing each other’s experiences. Too often participants assume that they are the only ones struggling so gain from hearing that others too had difficulties or reservations, or felt they could have done better. 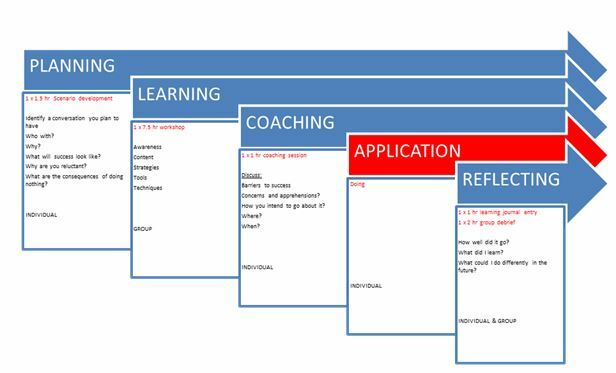 This enables participants to arrive at a more balanced view of their performance. Tracey McGrath International specialises in performance improvement. All programs combine practical skill-based strategies with a foundation of emotional intelligence. Attendees therefore gain the skills required for behaviour change as well as addressing emotional aspects which may act as barriers to behaviour change. An inherent challenge for any program aimed at raising the effectiveness of individuals confronting situations that have the potential to descend into conflict is that resolution requires a combination of emotional control as well as sophisticated communication skills. Conflict-adversity is common with people being reluctant to address situations where they are likely to be exposed to conflict. Effectively managing targeted difficult conversations requires both emotional intelligence as well as communication skills. Understanding and being able to manage emotions (both our own and other parties) is essential since as levels of emotions go up, the capacity to think goes down. Given the emotional nature of conflict, it can be difficult for individuals to effectively reflect and debrief events on their own. Reflection capability is a sophisticated skill and most individuals benefit from receiving support during the process. A comprehensive “Coaching in Difficult Conversations” manual. 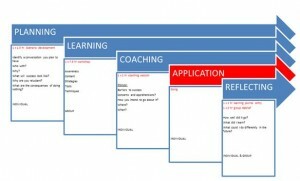 Various templates- including learning journal template using KOLB methodology. A wallet-sized laminated prompt card L.I.S.T.E.N. Dependent upon the program delivery option selected, the program typically concludes within 5 weeks of commencement. Group size is dependent upon program delivery option selected.